NETIZEN WOKE UP TO FIND HER BANK A/C AT NEGATIVE AMOUNT AFTER LINKING HER CARD TO UBER! 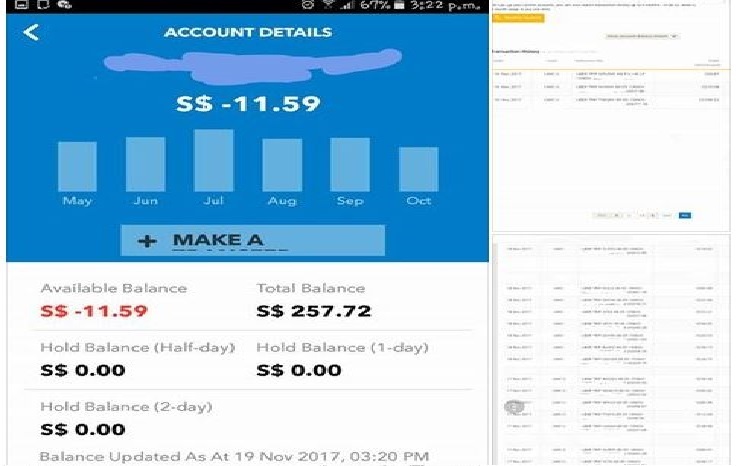 You are at:Home»Featured»NETIZEN WOKE UP TO FIND HER BANK A/C AT NEGATIVE AMOUNT AFTER LINKING HER CARD TO UBER! Next Article KUDOS TO THESE YOUNG LADS FOR VOLUNTEERING THEIR TIME TO DISTRIBUTE GROCERY AID!